Franklin, 1 @ Foxboro, 0 – Final – Miranda Smith scored just seven minutes in from an Ellie Teixeira assist. It was her third goal in the last two games and it turned out to be the game winner for the Panthers. King Philip, 0 @ Bishop Feehan, 1 – Final – The highly ranked Shamrocks were held scoreless until the final seven minutes, when Feehan scored on a corner. Taunton, 1 @ Milford, 1 – Final – Ashleigh Starks gave Milford the lead but Taunton tied it inside the final minute of the game on a goal by Riana Winslow. Grace Pimenta had a big game in net for the Tigers. King Philip, 164 @ Franklin, 161 – Final – Jason Collins carded a round of 39 to lead the Panthers to the win. 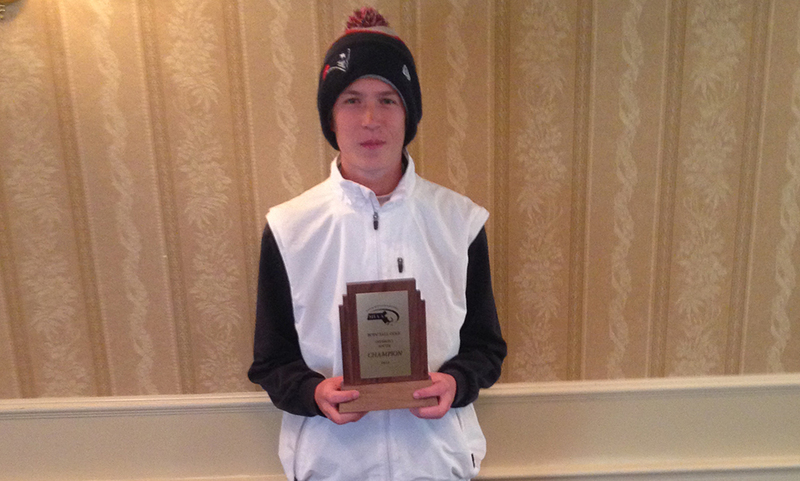 King Philip’s Sebastian Ladoulis was the match medalist, shooting 37. Mansfield, 177 @ Taunton, 184 – Final – Madison Haughey shot a career-low 40 to earn match medalist honors and lead Mansfield to the win. Taunton’s Justin Proto shot a 41 for the Tigers. Foxboro, 173 @ Milford, 166 – Final – Ryan Tomaso led the way again for the Scarlet Hawks, carding a round of 36 while Tylor Renaud added a 41 for Milford. Oliver Ames, 3 vs. Brockton, 1 – Final – Seniors Francesca Calabraro, Kiana Lozzi and Lauren Wright each scored a goal in the first half as Oliver Ames built a 3-0 lead by halftime. Head coach Britt Sellmayer said Emily Freeman and Zoe Chazan had solid defensive games for the Tigers. Taunton, 1 @ New Bedford, 1 – Final – Olivia Sweeney scored Taunton’s goal, on an assist from Alexis Faria. Grace Pimenta had four saves in net for the Tigers. Oliver Ames, 3 vs. West Bridgewater, 1 – Final – Oliver Ames built a three goal lead by halftime and held off West Bridgewater in the second half to hand new head coach Abby Tepper her first career win. Dimitra Efremidis scored once and had an assistwhile Sarah Steves and Kendall and Clifford each scored once. Meaghan Rockey added an assist for the Tigers. Milford, 0 vs. Nipmuc, 3 – Final – Milford head coach Kim Danish noted Kaitlyn DeCapua had a strong game for the Scarlet Hawks. North Attleboro, 1 @ Franklin, 3 – Final – The Panthers rallied from a six point deficit in the first set to set the tone and earn the win. Erin Skidmore rattled off nine straight service points, turning a 20-14 North Attleboro lead into a 23-20 lead for the Panthers in the first set. Skidmore finished with 16 service points, seven aces, five kills and two blocks. Junior Meaghan Maguire led Franklin with 10 kills and three blocks while sophomore Lauren McGrath had 17 Assists and five aces for the Panthers. Franklin, 165 @ Mansfield, 174 – Final – Franklin junior Bryan Woelfel was the match medalist, shooting a 37 to lead the Panthers. Senior Matt Dao also had a strong day for Franklin, carding a 41. Mansfield senior Jason Hindham shot a team-best 38 for the Hornets. Taunton, 179 vs. Coyle & Cassidy, 198 – Final – Taunton started the season off with a win over rival Coyle, behind a match-low 41 from Mike Volkmann. 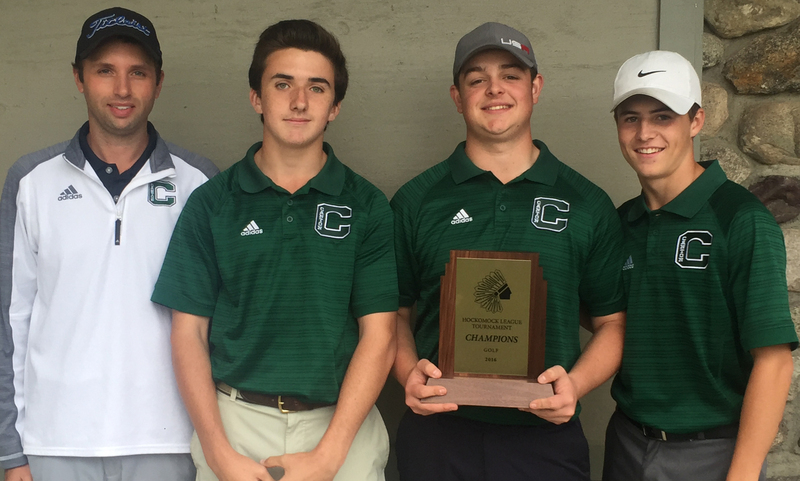 Justin Proto shot a 43 for Taunton while Jake Crawford had a 46 and Ryan Maloney carded a 49.